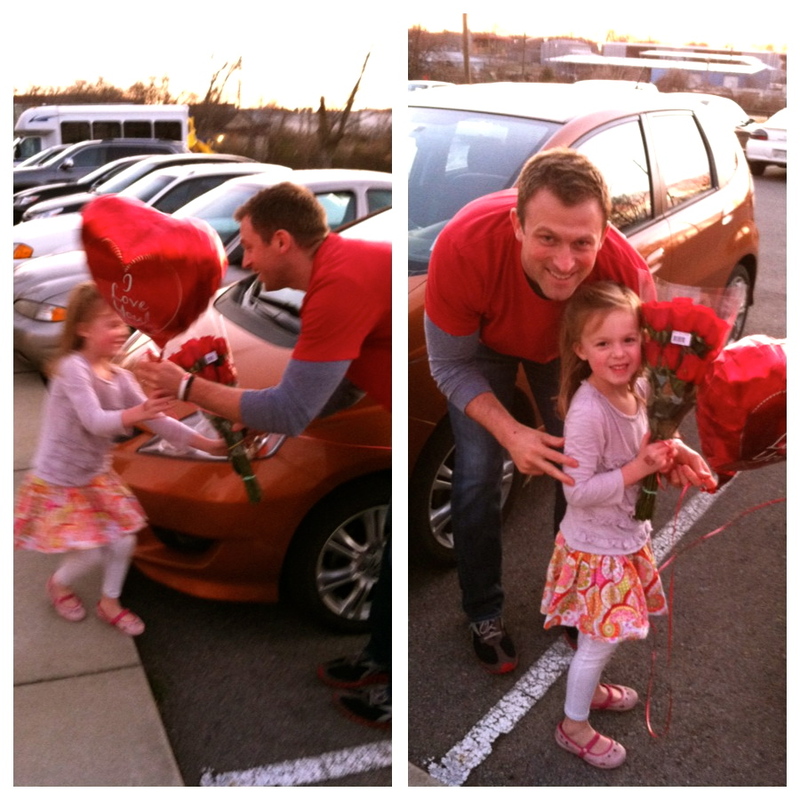 Lily just slightly excited to meet her Daddy in the parking lot of PTM, who had roses and a balloon for her on Valentine’s Day! Ali Rose and I were also his sweeties- just not pictured here! Jack’s valentine for his teacher (which he got embarrassed and wouldn’t give to her). I LOVE this! 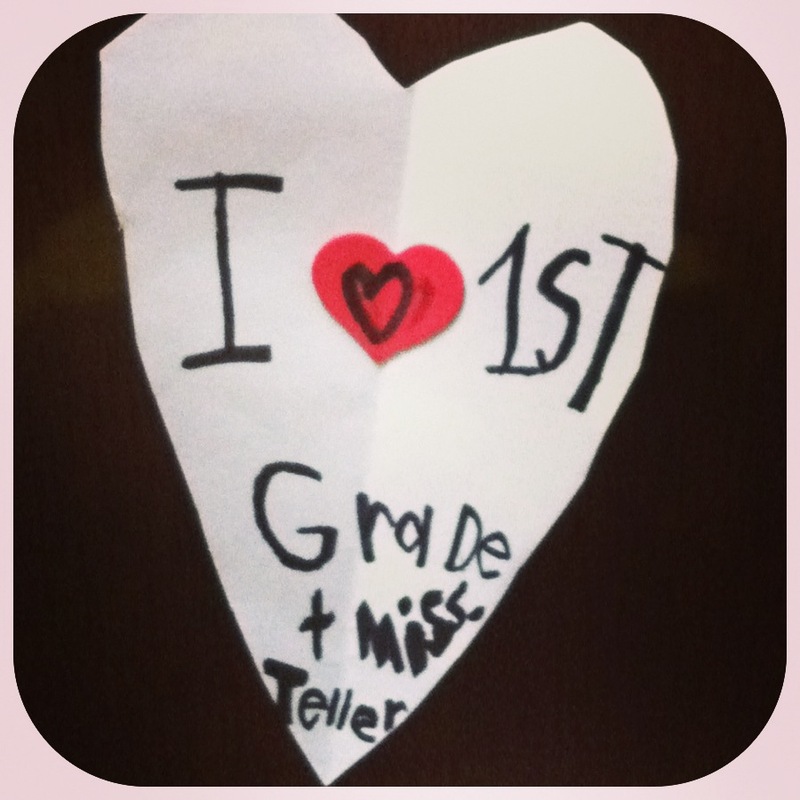 First grade and Ms. Teller are both the BEST!